If you have a living room, then you probably need a coffee table. It is great to put things, food, drinks or even books on. 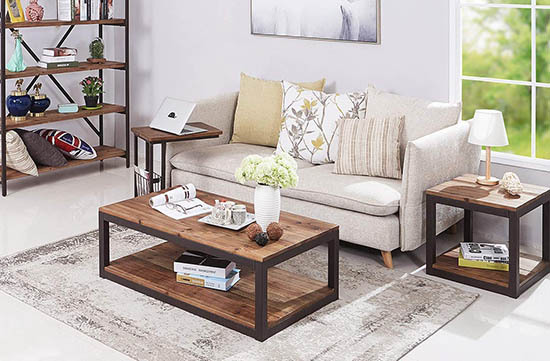 While relaxing in my own living room, I felt curious and did some looking around for beautiful minimalist coffee tables. 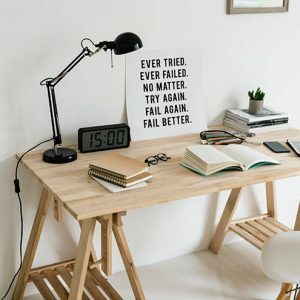 For this reason, I have made a list of the 15 best modern minimalist coffee tables for your home that you can get on the internet. Hopefully you’ll find one that will catch your eye. So without wasting any more time, let’s get started with the list! 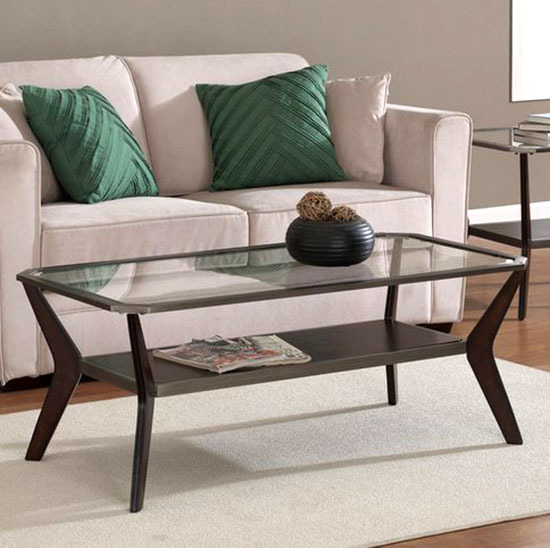 The Doxa Modern Coffee Table by Nathan James has an elegant minimalist design. The coffee table has a rectangular frame box design with a wooden top and a beautiful black metal frame. The table design is simple yet sophisticated. The tabletop material is natural wood which gives off a nice cozy vibe, while the black matte finish of the metal frame adds a modern industrial minimalist aesthetic. The table has circular furniture pads for the base to avoid scratching the floor below. Futhermore, it is very easy to assemble according to users. 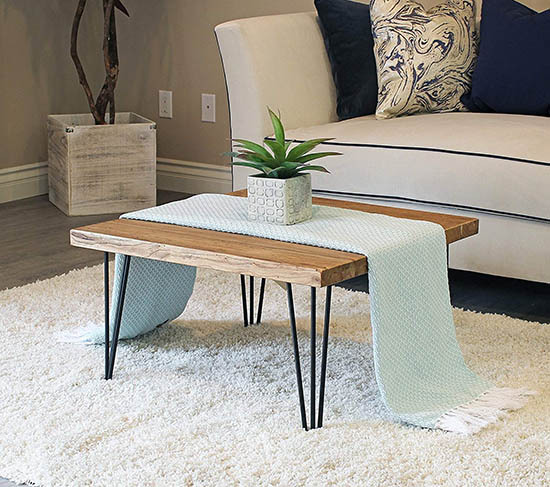 This coffee table by Convenience Concepts has a creative and unique modern design. It has a beautiful wooden top with glass sides, and a gorgeously designed shelf in the middle. The shelf is great to put your favorite books or small items. The side glass are made of tempered glass which makes it durable. The wooden tabletop has a beautiful melamine veneer finish which gives it a polished and upscale look. 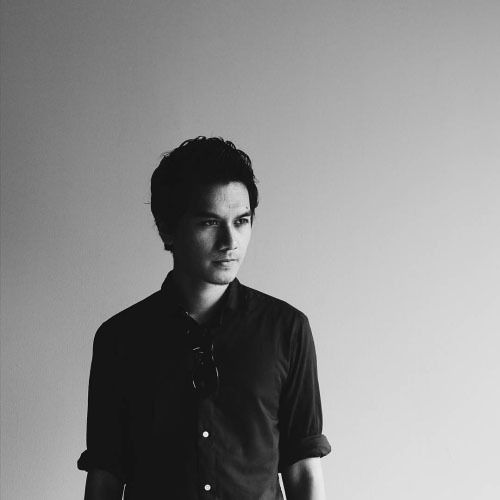 The overall design is clean and minimal, yet very interesting. It can be a great conversation piece for guests. The coffee table also comes in many different attractive finishes. 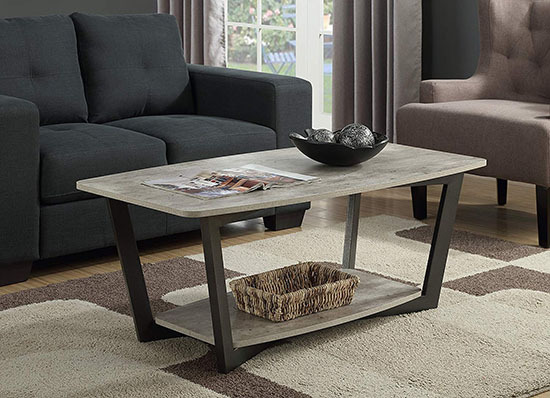 The Graystone Coffee Table is another beautifully designed piece by Convenience Concepts. It has a beautiful faux birch finish tabletop, a uniquely shaped dark frame and an open shelf at the bottom. The metal frame is sturdy and stable, and has a nice dark grey powder coat finish. The handsome faux birch finish of the tabletop can add a nice natural feel to the space. I also love the open concept bottom shelf. It makes the table look clean and simple. 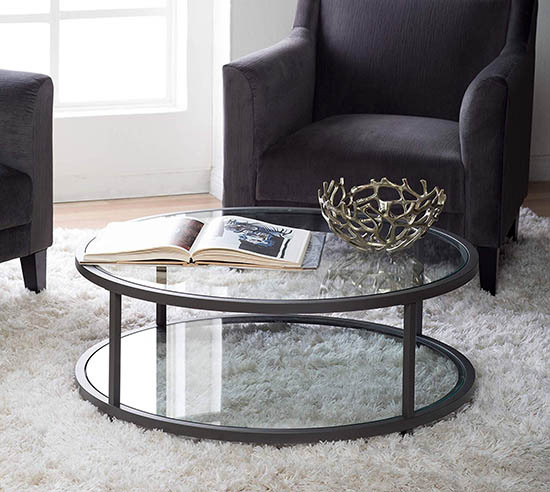 This gorgeous round coffee table by Studio Designs has a sleek round shape with a nice glass top and bottom. The frame design is both minimal and sophisticated. I believe this table will look nice for a more upscale living room or space. In terms of construction, the frame is made of steel which gives it durability and stability. Also, the frame has a powder coated finish which gives it a nice matte, minimalist look. The glasses are made of safe tempered glass. Furthermore, the table has four floor levelers for stability. The waterfall design of this coffee table makes it look really minimalistic. 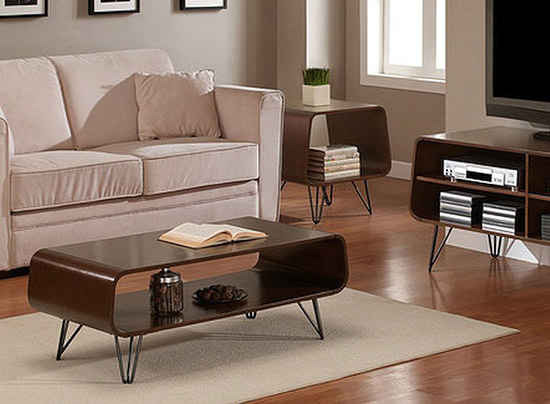 The simple shape and design makes it very easy to fit any minimalist living room or space. The table is made of premium-quality acrylic material which is thicker and clearer than most similar-type coffee tables. It is thick enough than it can even be a bench. Because it is acrylic and not glass, make sure you use an acrylic spray cleaner instead of regular Windex which might create a foggy stain. 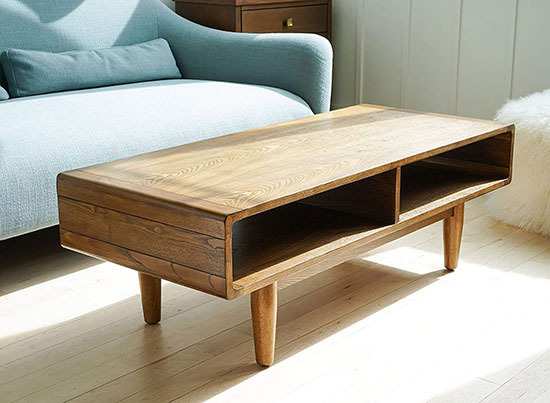 The Wesling coffee table has a gorgeous, thick tabletop with a thick double X-frame with a stretcher. The contrasting finishes gives the table a strong character. I love the sleek industrial and minimalist design. The base is made of strong metal with a slightly rustic black finish. The tabletop has a rustic plank-style design which can look great in any home space. The tabletop is also quite big which can be great if you want to put many things on top of it. This coffee table by Ink+Ivy is both futuristic and minimalist. The table has a glass tabletop, a uniquely designed base, and a slanted shelf for books or magazines. The table’s frame is made of durable rubber solid wood. The shelf is made of medium-density fiberboard with a nice Birch veneer finish. 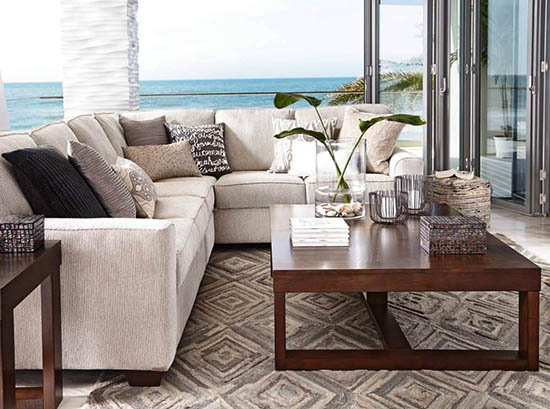 The overall design just looks great and can easily compliment your living room beautifully. 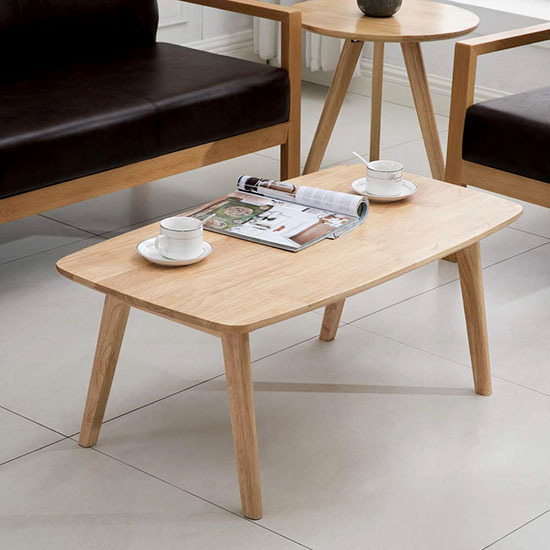 The beautifully designed, square coffee table by WELLAND is just gorgeous to look at. It has a nice square wooden table top, with industrial-design metal legs. Each of this coffee table is carefully hand-carved, so no two are alike. The tabletop is made of reclaimed solid old elm wood (which dates back up to a century ago). 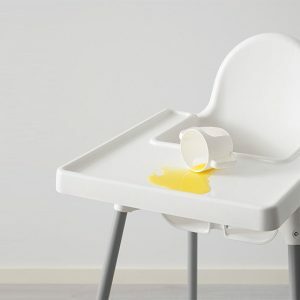 This makes the table very sturdy and very well made. The table has a classic yet minimalist rustic look. This is another futuristic and minimalist designed coffee table. This table by Hives and Honey has a clean rectangular design top, and two pairs of elegantly designed wooden peg legs. The table has two shelves which can be great to put books or consoles if you plan to use the table for your TV. The table is made of solid wood which makes it very sturdy and long lasting. The material is topped with a rich walnut finish which gives it a nice upscale, polished look. 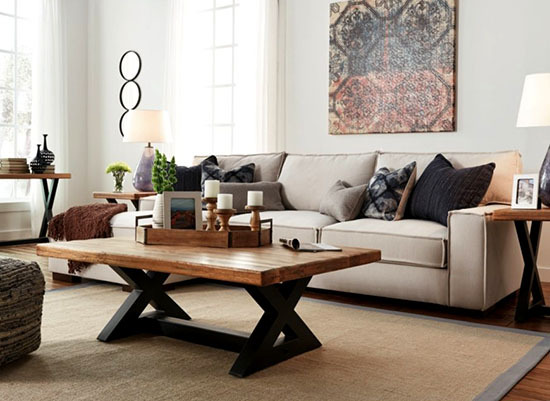 The Watson coffee table by Ashley Furniture is great if you’re looking for a beautiful large coffee table with a modern design. It has a rectangular shape, a thick tabletop, and a pair of rectangular frames on two sides with a stretcher bar at the base. 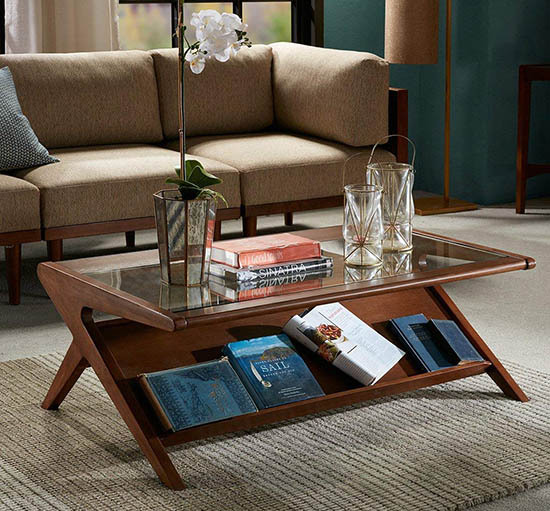 The coffee table is crafted from durable wood and has a nice veneer finish that gives it that elegant and minimalist look. 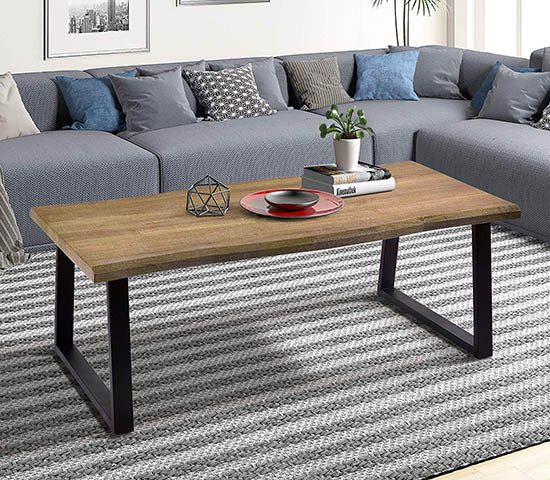 This table is great for large living rooms, or if you prefer a big piece in the middle of your space. I love this coffee table by Care Royal. 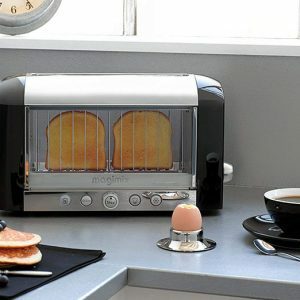 It has a beautiful industrial design that looks classic yet sophisticated. It has a nice rectangular shape with a wooden tabletop and a wooden bottom shelf connected by a dark metal frame. The tabletop and bottom shelf are made of reclaimed natural solid wood which gives a nice cozy look. The frame is made of durable metal frame with a rustic brown finish. The metal is rust-resistant. The nice open concept of the bottom shelf makes it convenient to put books and also makes it look really elegant and modern. The Wood Coffee Table by Meramax has a rectangular wooden tabletop with a pair of uniquely designed, almost-rectangular dark frame. 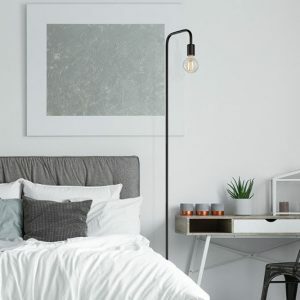 The simple minimalist design can make this a timeless piece and can easily fit in with most minimalist theme spaces. 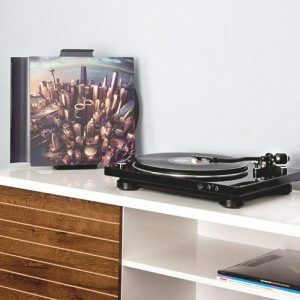 In terms of built, the tabletop is made of thick medium-density fiberboard that is both waterproof and scratch-resistant which makes it long lasting and durable. The metal frame gives the table stability and sturdiness. 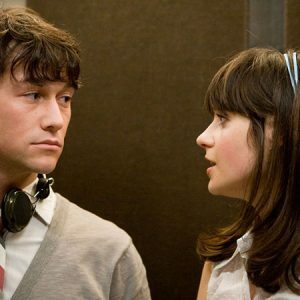 This is another favorite of mine in this list. I love the futuristic mid-century design. The table has a round-edge rectangular design with a hollow shelf. The table has four legs with a somewhat industrial wire design. The table is made of medium-density fiberboard with a nice walnut wood veneer finish. The wire legs are made of sturdy steel with a beautiful gray powder coat finish. 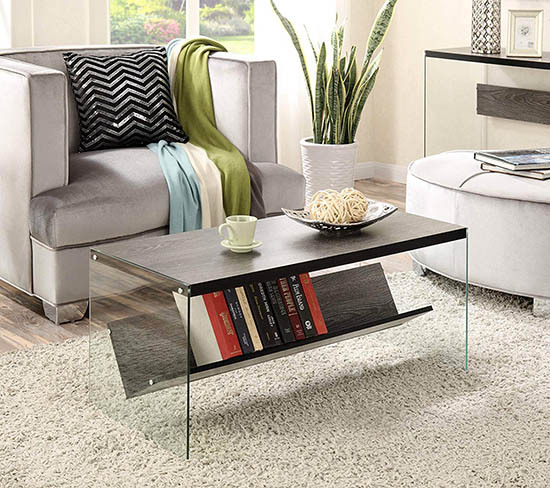 This coffee table by Boomerang has a nice glass table top, and a gorgeous creative boomerang-shaped legs with an open shelf in the middle. 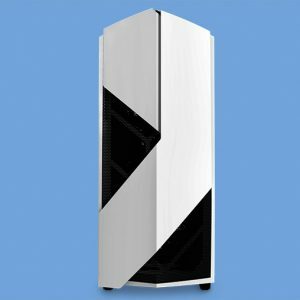 It has a beautiful minimalist mid-century look. The glass tabletop is made of clear tempered glass which is scratch and mar resistant. The legs made of durable solid rubberwood. Other parts of the table are made of medium-density fiberboard and metal. This table can look great for any modern or upscale apartment or house. 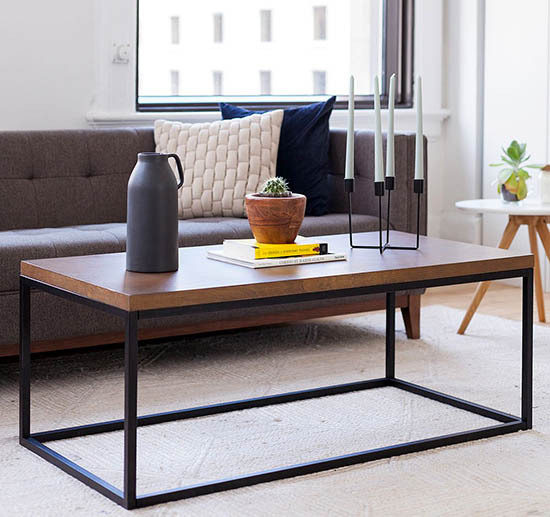 The wood coffee table by ClosetMaid has a rectangular tabletop with 2 shelf compartments, and a pair of rectangular dark metal legs. I love how simple yet sophisticated the design is. It comes in a natural wood color and a gray wood color finishes. The legs are made of powder-coated steel which makes it stable and can handle a good amount of weight. The table top on the other hand, is made of beautiful laminated wood. 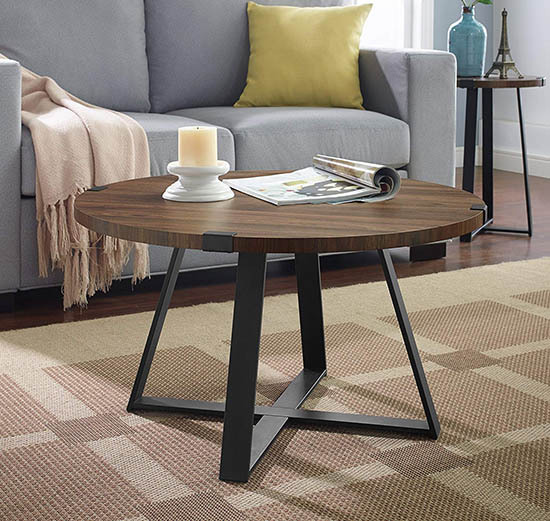 This coffee table has a simplistic modern design. It has a soft rectangular tabletop with four legs directing outwards to the floor. The simple and elegant wooden design gives a warm and natural vibe. The wood is made of solid Thai rubber-wood with a protective lacquer coating. It comes in 3 different options for the finish; natural wood, dark brown and vintage brown. 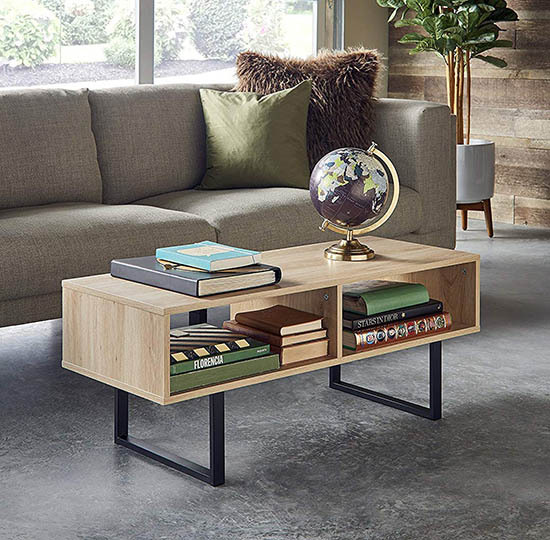 This coffee table by Walker Edison Furniture has a beautiful wooden tabletop with industrial design legs with an X-frame base. 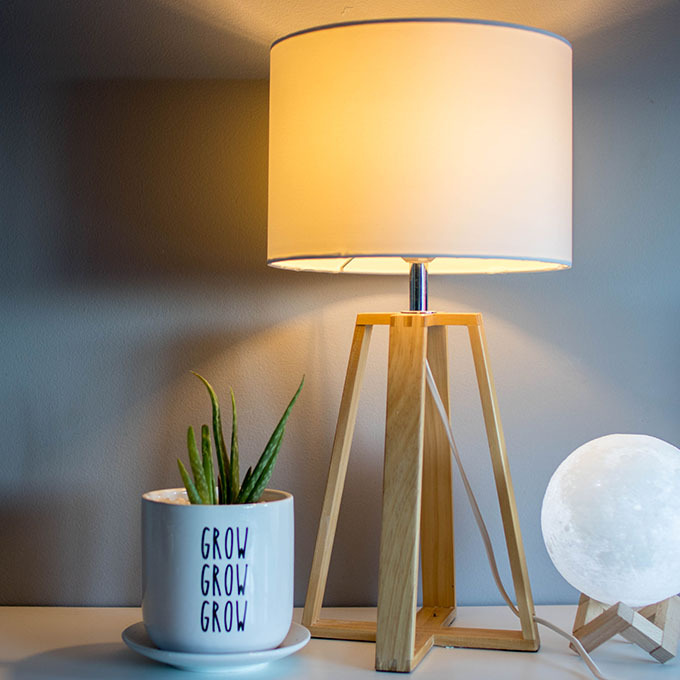 The handsome minimalist design makes it look great for any minimalist space. The table comes in six different finishes. This one is in Dark Walnut. 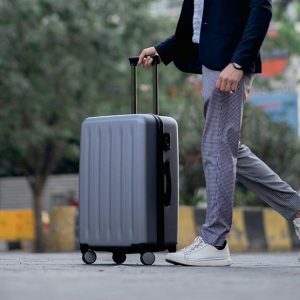 The base is made of durable metal which can withstand a good amount of weight. On the other hand, the tabletop is a made of wood with beautiful grain detailing on the laminated table top. 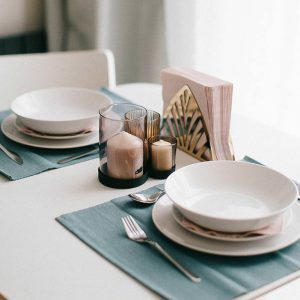 It gives the table an gorgeous rustic aesthetic. Whether it is for your living room or other spaces, a beautiful modern minimalist coffee table can improve the overall look of the space. 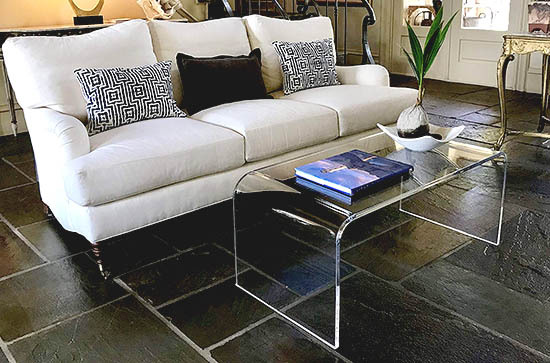 Hopefully this list has helped you find the right minimalist coffee table for your home.